Blizzard’s GamesCom 2011 Schedule and Diablo III Beta Hint? Blizzard Entertainment recently posted their entire GamesCom 2011 schedule. Attendees should find them at the following booths: hall 6.1, B21 – C30. Seven developers will be in attendance to participate in StarCraft II: Heart of the Swarm, Diablo III and World of Warcraft live interviews at the booth. They will also be signing merchandise at a later time. Take note. Attendees should definitely wish to stick around the Blizzard booth. Several times throughout the day, there will be Blizzard Quizzes about lore of any of the universes. The winners will get some nice swag from J!NX, Panini, Razer and SteelSeries. On another note, the official Blizzard GamesCom schedule page has an intriguing last words that has the community thrilled jamming at the speculation/rumor mill. Was it meant as a joke? Or was it a hint that Diablo III Beta starts on August 16? Whoa? Blizzard’s GameCom page quote: “As a side note, any rumors you may have heard about a gate to Diablo’s Burning Hells opening in Cologne are completely unfounded. Seriously, nothing is happening at Rudolfplatz from the evening of August 16 — especially nothing to do with demonic invasions.” — Oww-Emm-Gee? Actually, the Schedule (PDF) says that through Thursday-Sunday, all day, fans will “Witness Diablo unleash his wrath in Cologne at Rudolfplatz (Next to the Hahnentor)”. That means Blizzard Entertainment is likely to have some sort of event there with lots of Diablo III themed banners or billboards. Hired Cosplay maybe? Hard to tell. A quick search in Google shows that Hahnentor is a City Gate located at Rudolfplatz. Hmm … City Gate … Gate to Diablo’s Burning Hells. GamesCom attendees might have a bit of a hard time trying to reach Hahnentor to figure out what Blizzard has in store there. It’s about 8-10 minutes by car from the GamesCom Koelnmesse Convention Center (approximately 4km). Check out the google map. Is the choosing of the City Gate Hahnentor (as the Gates of Hell) for the Diablo III event merely a symbolic gesture by Blizzard Entertainment, or does it augurs the launch of Diablo III beta testing on August 16th? It’s definitely hard to stop the mill now. A complete schedule of all the activities taking place at our booth can be found here in PDF format. 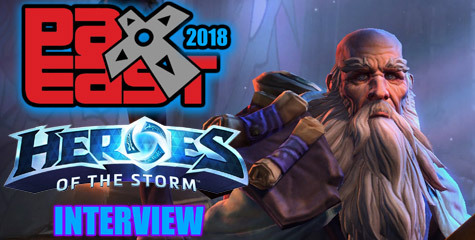 Description: Join us at the Blizzard booth as we commence proceedings with a chance to meet our executive and development teams. In attendance will be Frank Pearce (Executive Vice President, Product Development and Co-Founder), Jonny Ebbert (Senior Game Designer, StarCraft II), Tom Chilton (Game Director, World of Warcraft), Chris Robinson (Art Director, World of Warcraft), Jay Wilson (Game Director, Diablo III) and Josh Mosqueira (Lead Designer, Diablo III) – all of whom will be available for subsequent signing sessions. Additionally, there’ll be an orchestral presentation showcasing music from World of Warcraft. 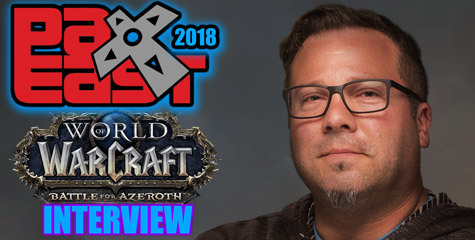 Description: Frank Pearce and Johnny Ebbert will be on the Blizzard booth for an interview about StarCraft II and the upcoming expansion Heart of the Swarm. 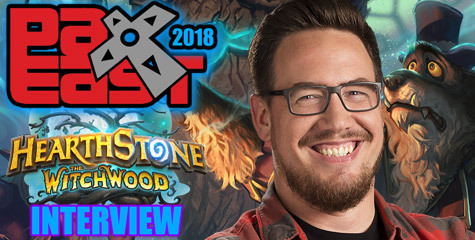 Description: Tom Chilton will be on the Blizzard booth for an interview about the ongoing development of World of Warcraft. Description: After a dance macabre from the demonic hordes, Jay Wilson and Josh Mosqueira will be on the Blizzard booth for an interview about the upcoming title Diablo III. Sign up: If you wish to apply for pre-registration in this contest, send an email with the subject [dance contest] to us at [email protected], including your name, date of birth and the details of the dance you will be performing. Please make sure to read the rules before entering. All selected entrants will be contacted by us via email. Description: Impress our judges with your best rendition of a World of Warcraft dance and you could win fantastic prizes from our partners. In addition to the pre-registration by email, you will be able to sign up for this contest directly at gamescom by visiting our booth, located at hall 6.1, B21 and asking for the Dance Contest sign up. The contest will start at the Blizzard booth at 4 p.m. CEST on August 19 so make sure you are there a little earlier to join in! Sign up: Send an email to [email protected] with the subject [costume contest] containing your name, date of birth, and the name or a brief description of the Blizzard-related costume you will be entering. Please make sure to read the rules before entering. All selected entrants will be contacted by us via email. Description: Impress our judges with your best costume inspired by one of the Blizzard game universes and you could win a trip to BlizzCon 2011, with the tickets, transportation, and hotel accommodation paid for by our sponsors for you and one other person. Sponsored by: J!NX, Panini and SteelSeries. Description: Your chance to get your very own autograph from members of our developer and executive teams. Please note that special Blizzard 20th anniversary signing postcards will be provided for the occasion. Description: Come and witness the cutting edge of competitive StarCraft II play as pro gamers battle it out for your viewing pleasure. Matches will be commented by notorious German shoutcaster Homer J. Description: The well-known guilds of Ensidia and For the Horde will be fighting the most challenging encounters in Azeroth in exciting live raid sessions. Description: Show your knowledge of all the Blizzard franchises and win fantastic prizes! Sponsored by: J!NX, Panini, Razer and SteelSeries. As a side note, any rumors you may have heard about a gate to Diablo’s Burning Hells opening in Cologne are completely unfounded. Seriously, nothing is happening at Rudolfplatz from the evening of August 16 — especially nothing to do with demonic invasions.